If playing zombie themed games prove to be useful, then we will all survive a zombie attack. 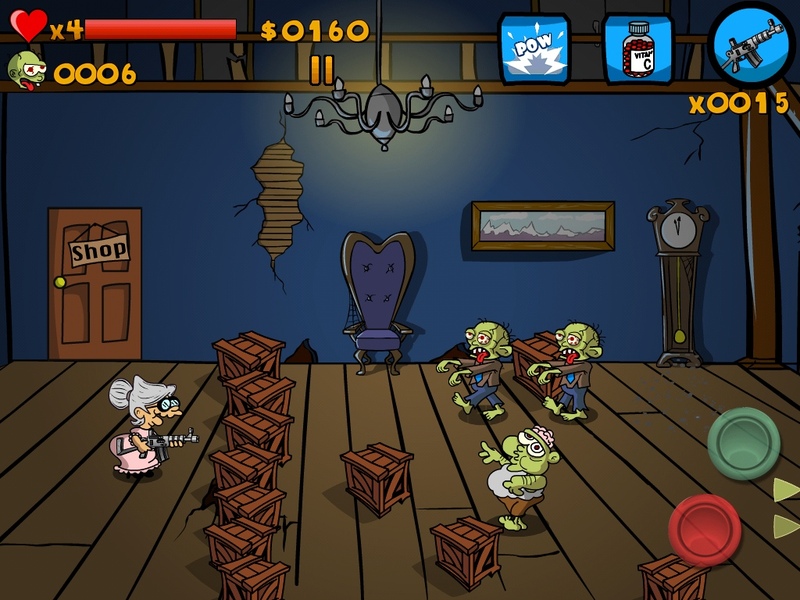 Granny vs Zombies HD takes the whole zombie premise even further by making our grandparents the heroes in this story. The game is your usual zombie shooter that’s seems to be inspired by Zombieville (read the review of Zombieville USA 2), with a few variations. Shoot and loot is the basic premise. You move from point A to B, fending off waves of zombies out to get you. For each zombie kill you can pick up weapons, ammo or money. Power ups are also available for emergency situations. 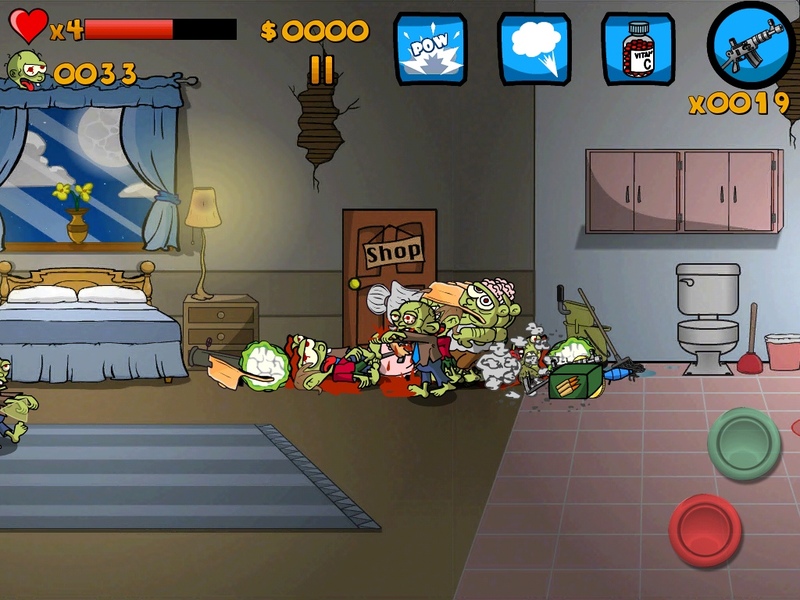 As in Zombieville, you can also enter houses to get weapons or ammo. You have a lot of weapons to choose from, including defenses for your barricades. My only complaint in the help department, which pretty much covers everything about the game (well, it’s pick up and play anyway) is the lack of descriptions of the weapons you can use, their attributes, all of which you just learn on the fly. However, despite the lack of more detailed attributes, most of the weapons should be familiar and easy to figure out most of the time. 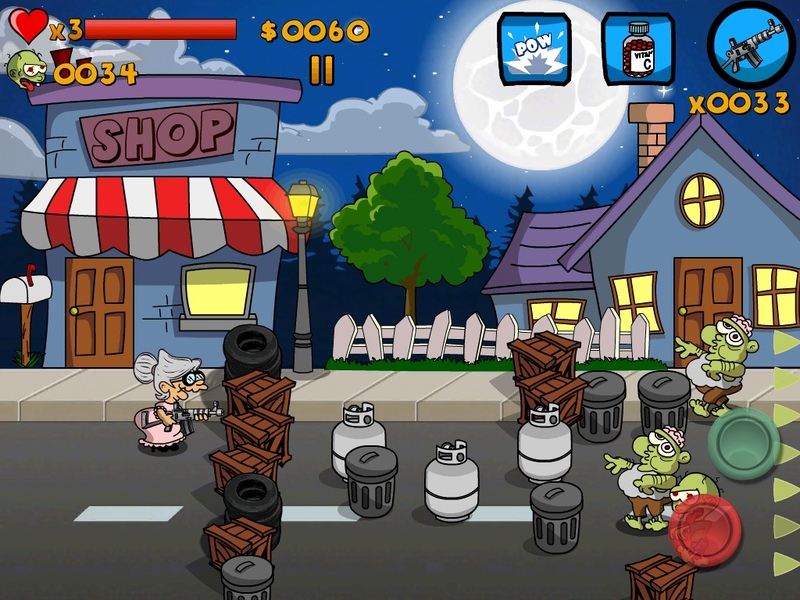 There are two modes of gameplay: walking around Zombieville style, and defending the barricades. 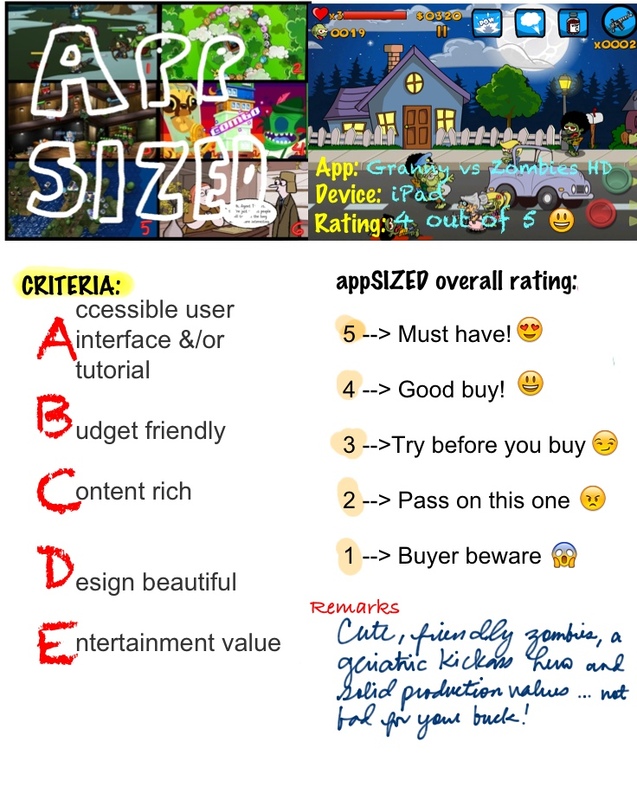 You start out in the living room and gradually go outside after completing the first two or three levels. 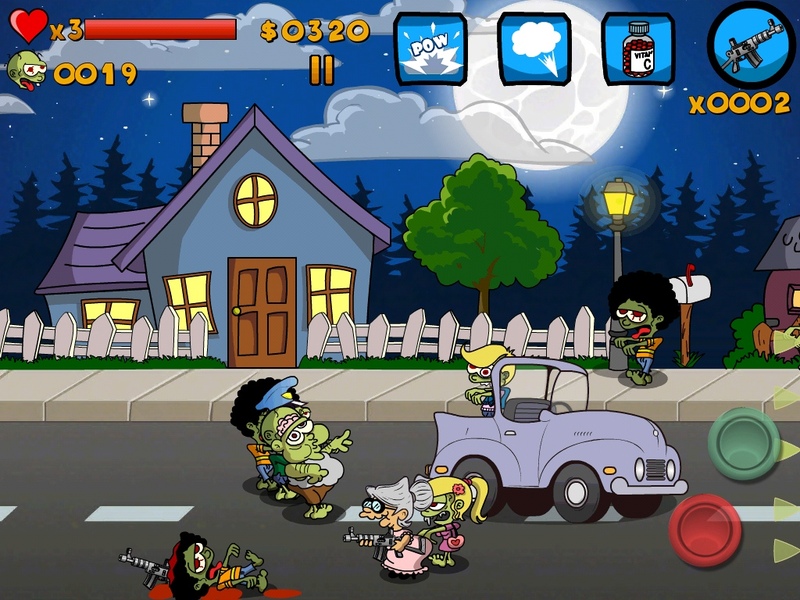 The second game mode, which is preventing zombies from entering your house is more interesting and more original. Sadly, it just pops up in between regular levels. I like the art – the crisp, cartoony graphics and cheery colors. 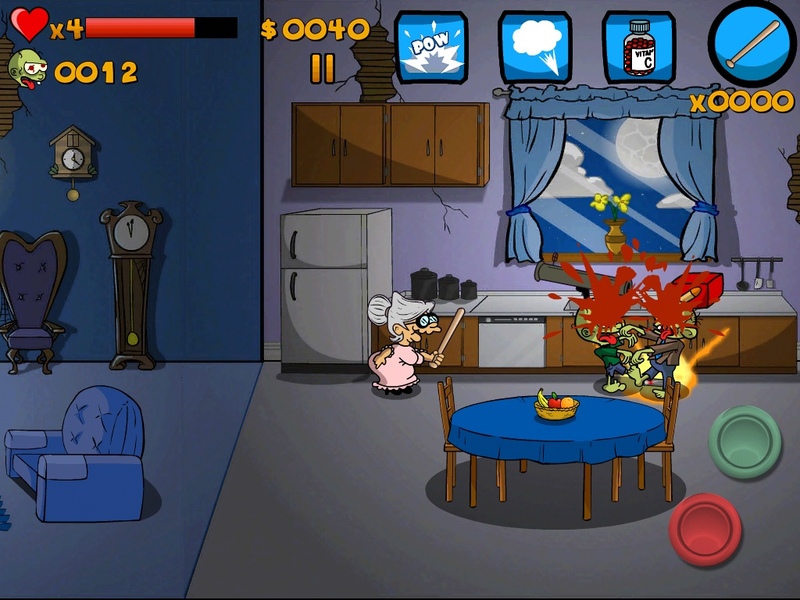 The clean lines and the funny drawings make the normally gruesome and scary zombies friendlier, a la Plants vs Zombies. The wonky controls, howver, hamper what is otherwise a very solid game. I find it hard to move around using the D-pad, and weapon selection mid-game is difficult to pull off because you end up with a lot of weapons to choose from yet there might not be enough ammo – or timeto be able to choose among these weapons. At the end of the day, out of so many zombie themed shooters, Granny vs Zombies HD is not quite average and might prove to be an enjoyable alternative to many zombie games out there.